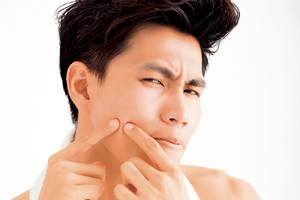 Acne Rosacea is a chronic acne-like skin problem which usually begins in adulthood mostly between the ages of 30 and 60. People with fair skin tend to be more prone to it, and while it is more common among women, men tend to suffer more severe symptoms. It occurs when the small blood vessels in certain parts of the face – forehead, nose and chin – dilate and become visible through the skin. The result is skin which appears red, oily and bumpy, and in severe cases, the entire nose can appear noticeably red and bulbous. Rosacea is thought to be due to abnormalities of blood vessels in the skin, as easy flushing and blushing can precede the acne like stage of Rosacea by many years. The underlying cause, however, is unknown. Trigger Factors that can aggravate the condition include smoking, food and drinks that cause flushing (consumption of spicy food, hot drinks and alcohol), and other triggers such as changes in temperature and temperature extremes. 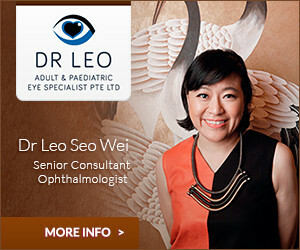 See our Singapore Dermatologists here.